You will add many Cheats: Change Credits , Change Administration Capacity , Unlimited Ship Movement , Infinite Ship Health (Non-Combat) and many more. Welcome to our website, especially on the Trainer page of Galactic Civilizations III Without too many premises let's describe this article! If you have something else to add to this guide and want to share it, do not hesitate! We are always available to supplement our material with additions and to make everything available to our visitors. Too little, we also have the Tricks of Galactic Civilizations III! You can find them in the appropriate page of the tricks and codes of Galactic Civilizations III of this site Inside the page there are paragraphs about the tricks and the unlockables of the game If you are stuck somewhere in the game, or you just want have more fun out of the rules, no way is better to consult the tricks we have collected for you. In the 23rd century the human race has reached the stars. From your beginnings on the Earth, and build a civilization that can resist time in the biggest game of strategy space of all time. Join the adventure! The program you are about to download was not created by Apocanow. 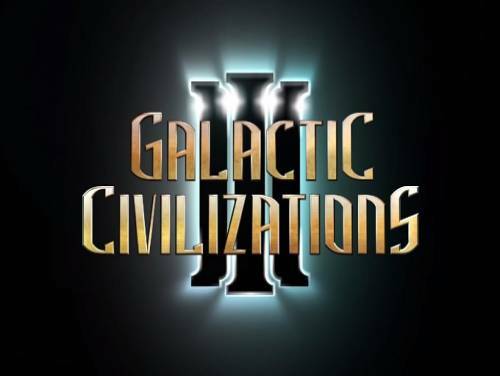 However, we have permission to publish and publicize by the authors of the Trainer Galactic Civilizations III Trainer - v3.05. The contents of the file are virus free, even if sometimes they can trigger the AV as false positive. While active the current selected ship has unlimited movement / health. Deactivate when not needed especially before ending turn. Press hotkey and end your turn and you will have a citizen available for training. Open your research screen then click on a research on the left side first. the research has been decreased. You cannot decrease it further. If you are using a Comodo product and the trainer crashes with Exception code: 0xc0000005, it is caused by Comodo.